From November 24, 2014, to December 2, 2014, this book was written by Shi-Ji through Peter Maxwell Slattery (“Pete”) in nine hours over nine days. Shi-Ji is a Light Being and Gatekeeper of the portal in the star Merope, in the Pleiades. 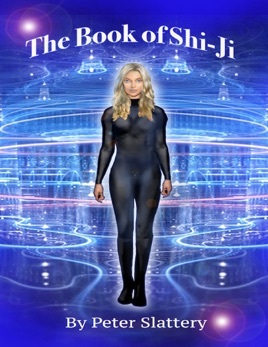 The messages in this book provide knowledge of the coming times and an overview of what is, and will be, occurring for humanity, and also for the universe and beyond as a collective. This book offers greater understanding of how you are the only judge of yourself, and that all of humanity is unconditionally loved and a cell of Source. Shi-Ji also offers messages on behalf of the Elohim, Metatron, and The Councils, and from Orion, Sirius, the Pleiades, and the Star Nations.